Maybe you're like my dear friend Helen, who does marvelous gift wrapping and really enjoys doing it; her boxes are works of art. But if you're more like me, you appreciate anything that makes the wrapping easier while still having your gift look nice. 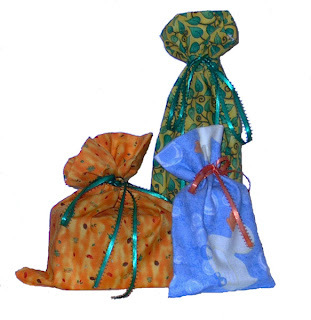 Gift bags are a great answer - especially fabric bags that can be reused time and again. 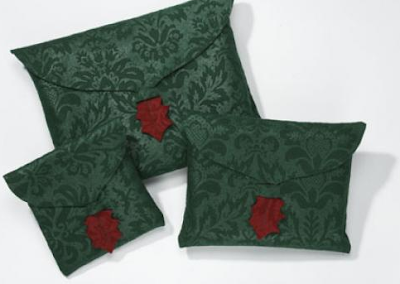 These bags are also great if you are traveling by plane, where wrapped gifts might wind up getting opened by the security folks. 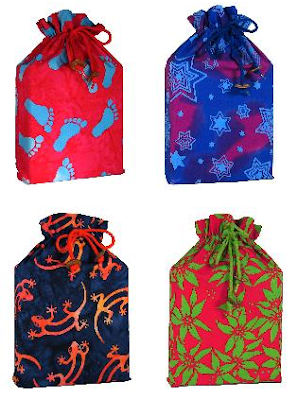 Wrapsacks were the first fabric gift bags I discovered, a number of years ago. Lagniappe Gift Wrap has a Recycling Rewards program where you can send bags back to them and get a discount coupon for your next on-line purchase. 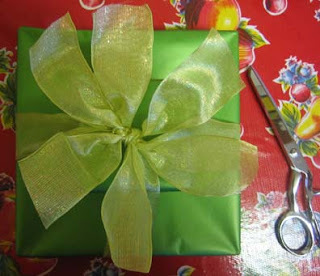 Update on Nov. 28, 2011: The Lagniappe Gift Wrap web site has disappeared. 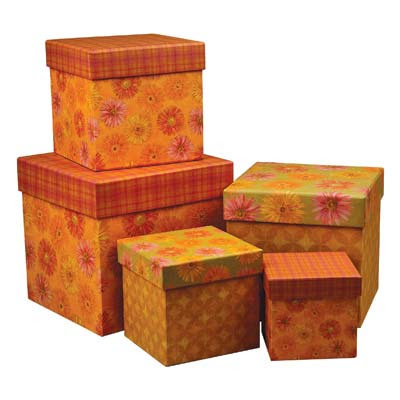 Another easy option is to use beautiful gift boxes that need no wrapping - and can serve as useful containers to the recipients. BoxCo has a large assortment. I have to admit that my solution this year is going to be brown paper shopping bags with pretty ribbon. This reminded me of furoshiki, the traditional Japanese wrapping cloth that's making a big comeback, now that eco-friendly zero-waste gift wraps are in vogue. Tammany, thanks for writing. One of the joys of blogging (or any writing) is knowing that something you wrote was meaningful or helpful to someone. Regarding green wrapping options, beyond the reusable gas and boxes, there's the furoshiki that Blue Yonder was kind enough to mention. And then there's the "use whatever paper you already have in the house" approach: newspaper, kid's art work, old maps, etc.